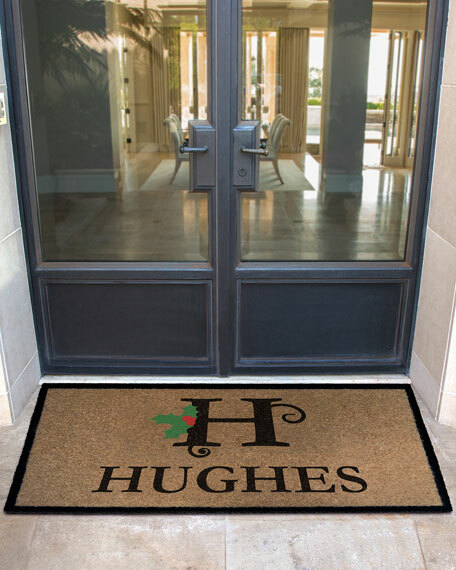 Get in the Christmas spirit with the most beautiful, durable all-weather entry mat available anywhere. 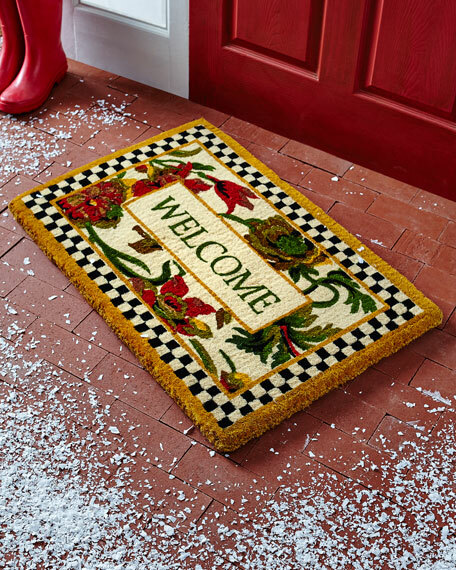 This elegant Christmas door mat will make a statement this season and may seasons to come. These Coco "Not" mats don't shed or shred, don't mildew or hold water, are antibacterial and soft to walk on but rough enough to catch the dust and dirt. Cleaning is a breeze. Use a broom for light dusting or hose off with water to remove heavier soiling. Mats are inlaid, not printed and finished with a non-slip backing that keeps them in place to perform better than an other entry mat made today. Every mat is made to order in the USA and you can customize yours the way you want it. 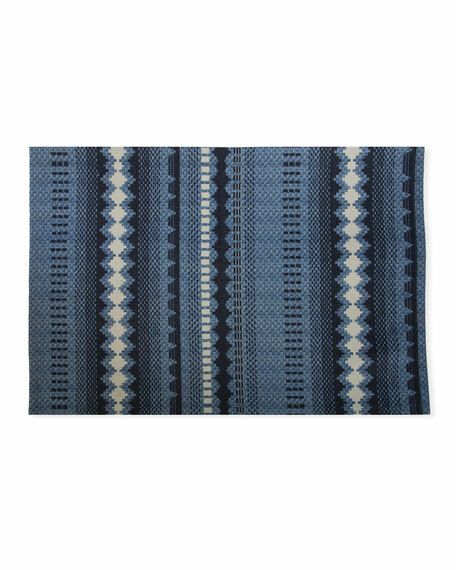 We recommend using a rug pad with every indoor rug to prolong its beauty by minimizing everyday wear and tear and providing a little breathing space to help prevent fiber damage. A pad also helps stabilize the rug, reducing slippage on hard floors.Please Note: Personalized items may not be ordered blank. Please order carefully. Orders for personalized items cannot be canceled, and personalized items cannot be returned. 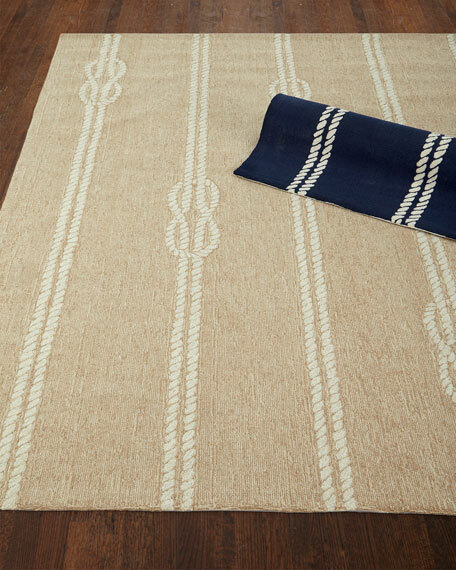 Knot & Rope Indoor/Outdoor Rug, 5' x 7'6"
Handcrafted Knot & Rope rug.Hand-hooked polyester and acrylic.Polyester and latex backing.Indoor/outdoor use.Clean with mild soap, hose off with water, and allow to dry thoroughly.Size is approximate.Imported.